Stand up, please. Levántese por favor. Grasp the walker. Agarre el andador. Let's walk down the hallway. Vamos a caminar por el pasillo. I won't let you fall. No lo voy a dejar caer. Don't get out of bed without a nurse. No se levante de la cama sin una enfermera. You can't walk by yourself. No puede caminar por sí mismo. Did you wet yourself? ¿Se orinó? Did you have a bowel movement? ¿Has tenido un movimiento intestinal? I'm going to change your diaper. Le voy a cambiar el pañal. I'm going to change the sheets. Voy a cambiar las sábanas. Can you raise your arms? ¿Puede levantar los brazos? We're almost done. Ya casi hemos terminado. In the morning Por la mañana. At night Por la noche. On an empty stomach Venga con el estómago vacío. Are you hungry? ¿Tiene hambre? Are you thirsty? ¿Tiene sed? Do you have problems chewing? ¿Tiene problemas para masticar? Do you have problems swallowing? ¿Tiene problemas para pasar la comida? I'm going to help you eat. Voy a ayudarle comer. Here's your breakfast. Aquí está su desayuno. Here's your lunch. Aquí está su comida. Here's your dinner. Aquí está su cena. I need a blood sample. Necesito una muestra de sangre. I need a urine sample. Necesito una muestra de orina. Put the sample in the container. Ponga la muestra en el recipiente. I need a stool specimen. Necesito una muestra de excremento. We need to take an x-ray. Necesito tomar una radiografía. We need to do an EKG. Tenemos que hacerle un electrocardiograma. You need a CAT scan. Necesita una tomografía axial computarizada. You need an MRI. Usted necesita una resonancia magnética. Are you having contractions? ¿Está teniendo contracciones? Did your water break? ¿Se le rompió la fuente? Do you want an epidural? ¿Quiere una epidural? You need a C-section. Necesita una operación cesárea. Congratulations, it's a girl! ¡Felicidades, es una niña! Congratulations, it's a boy! ¡Felicidades, es un niño! Do you have an allergy to any medications? ¿Tiene alergia a algún medicamento? Are you currently taking any medications? ¿Está tomando algún medicamento? Take this pill. Toma esta pastilla. Take one pill at a time. Tome una pastilla a la vez. This is for the pain. Este es para el dolor. You need an antibiotic. Necesita un antibiótico. I'm going to give you a shot. Voy a darle una inyección. There will be a little stick. Habrá un poco de palo. Turn on your right side. Voltee se a su derecha. Turn on your left side. Voltee se a su izquierda. Turn onto your stomach. Acuéstese boca abajo. Sit on the side of the bed. Siéntese en la orilla de la cama. Do you need medication for the pain? ¿Necesita medicamento para el dolor? Now, I'm going to give you medicine for the pain. Ahora, voy a darle a usted medicina para el dolor. I'm going to check your incision. Voy a ver su incisión. You need to stay in bed. Necesita mantenerse en cama. I'm going to change your dressing. Voy a cambiar su vendaje. I will get your husband in a few minutes. Voy a ir por su esposo en unos minutos. You can't drink anything for 5 hours before surgery. No puede beber cinco horas antes de la operación. Are you chewing gum? ¿Está masticando chicle? Are you wearing contact lenses? ¿Trae lentes de contacto? 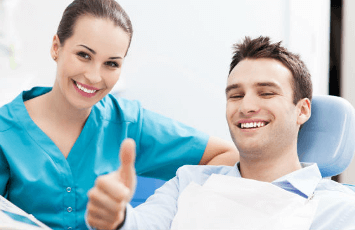 Do you have any dental work that can be removed? ¿Tiene usted dentaduras postizas? Are you wearing any jewelry? ¿Trae joyas puestas? When was the last time you ate? ¿Cuándo fue la última vez que comió? When was the last time you drank anything? ¿Cuándo fue la última vez que bebió algo? Cough, please. Tosa, por favor. Take this medicine. Tome esta medicina. Swallow, please. Traga, por favor. Open your mouth. Abra su boca. Try to urinate. Trate de orinar. I'm going to take your blood pressure. Voy a tomar su presión arterial. Please, roll up your sleeve. Por favor, enrolle su manga. I'm going to take your tempurature. Voy a tomar su temperatura. I'm going to take your pulse. Voy a tomar su pulso. I'm going to listen to your lungs. Voy a escuchar sus pulmones. Please, breathe deeply. Por favor, respire profundo. Please, breathe slowly. Por favor, respire lentamente. You will be able to help patients with basic movements during their hospital stay. 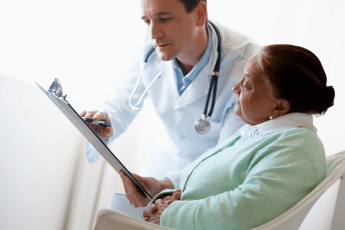 You will be able to assess your patient's comfort levels in Spanish. You will be able to communicate procedures and discuss medication. You learn how to introduce yourself and others, and ask if the patient understands. 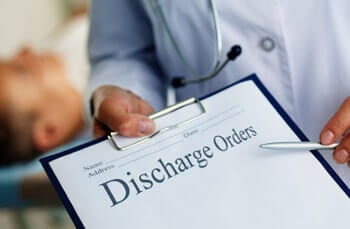 You learn how to communicate basic discharge information in Spanish. This section contains phrases related to maternity and newborn care. Bilingual anatomy charts, medical terms, and more delivered to your inbox monthly. Do you need ACLS recertification?